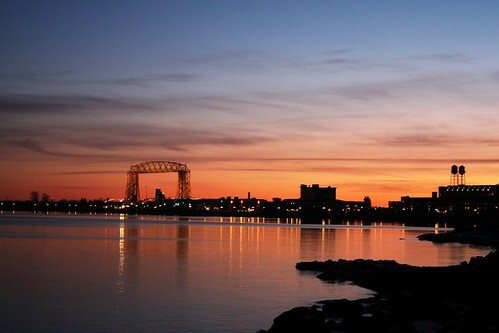 Sunset in Duluth, originally uploaded by MSullivan Photography. This photo was taken in late November as the whole Sullivan family was awaiting the arrival of the Polar Express Train. The perfect way to begin the evening.